The evolving PR landscape in means communication firms need to be transparent, trustworthy and take a firm stance on an issue while being tech-savvy is no longer just an option, according to the managing director of a Dubai PR agency. 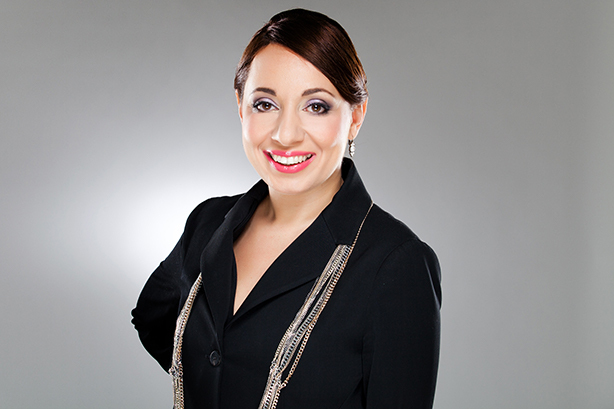 Active DMC managing partner Sawsan Ghanem. Sawsan Ghanem, managing partner of Active DMC, says major changes emerged in 2018, transforming the perspective and business of communications firms - and their clients - with itrust being at the forefront of challenges facing firms across the region. "We can all safely say that 2018 was a particularly eventful year on many fronts, including challenging political and economic environments and regular breaking news that in many cases shook people’s faith in humanity, our society, our gender and our politics and demanded – on many of these issues – each of us to take a ‘side’," Ghanem says. "The direct outcome of this was a demand by the global community for transparency, authenticity, facts and basic social accountability. Trust now needs to be earned and not taken for granted." Fake news permeated the news agenda with "little being done to counter this by the dominant social media platforms thus affecting even the mainstream media". "Finding credible and trusted news outlets to promote our clients, as well as developing and executing plans to ensure authenticity of those clients’ brands and messaging proved to demand greater focus of time and resources," Ghanem says. "That need for greater focus has meant we have all worked harder to generate the engagement with the right channels through which to convey our clients messages and manage their reputations." It has meant being transparent and taking a stance on issues has become more vital, says Ghanem. "Customers, followers, and other key stakeholders all respect and feel empathy when any company, organisation or government upholds and promotes transparency. Silence or a neutral stance is no longer acceptable and can backfire on any brand," she explains. "We’re now brand navigators guiding our clients through these new, challenging but exciting landscapes. In some cases, we have to steer them towards an issue rather than avoiding them or staying silent on them. "Thought and ethical leadership are critical and in today’s environment, necessary and a priority for any brand. It shouldn’t be solely the job of a CEO or senior leadership but a collective responsibility coupled with a genuine corporate social responsibility policy and culture. "Trust built on transparency is a big factor in gaining and keeping a loyal customer base." The PR industry experienced one of its most challenging times in 2018, says Ghanem, and communications firms now need to embrace key changes facing the sector; including recognising that being tech savvy is no longer an option. "The art of effective, engaging and creative storytelling is a not only key but essential, as it’s not just about writing or filming/capturing content, rather the talent is in making it relevant, true to the brand, engaging and targeted," she says. "A tech savvy PR partner who embraces the latest technology trends, tools such as AI, apps, VR, data marketing and online sharing and information amplification can be all the difference to a brand’s communication campaign."